Have you come up with your list of cookies that you’ll make this holiday season? 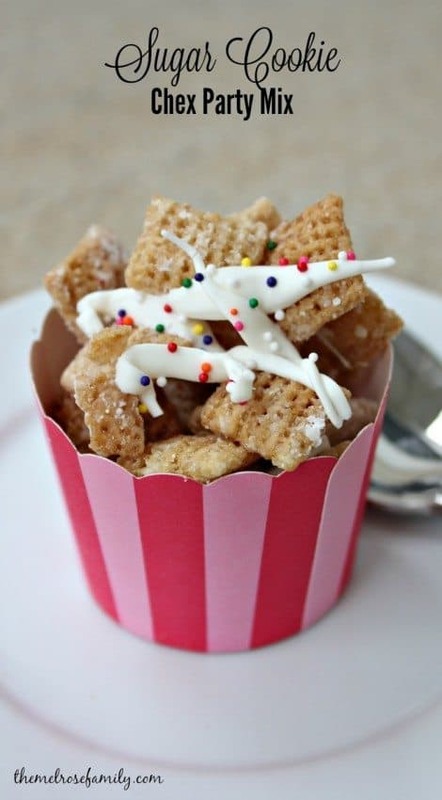 You have to sneak in this easy Chex Party Mix snack that tastes just like a sugar cookie. They are so easy to make that my two and half year old did most of the work! 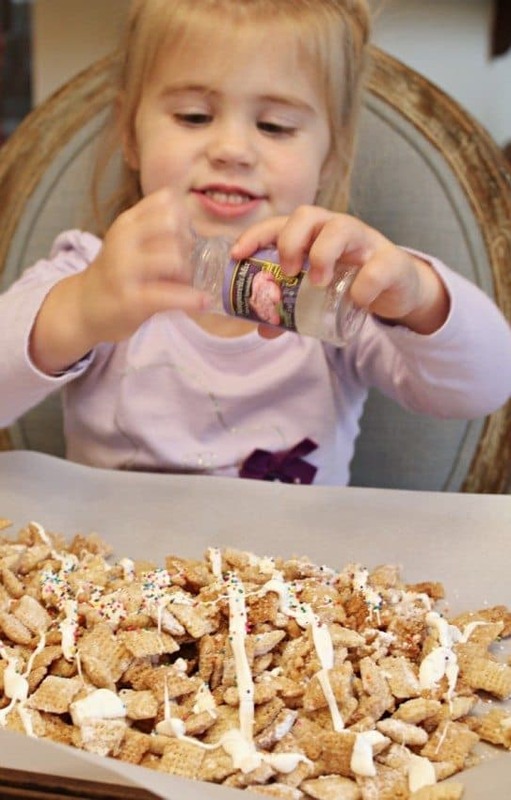 Since Avery is home during the day and Riley gets to do most of the baking on the weekends, this Sugar Cookie Chex Party Mix is the perfect holiday tradition to get her involved in the kitchen. You can find the recipe HERE. She ate quite a bit, but the recipe from ChexTM made at least 4 – 6 servings so it’s the perfect recipe. The reason that Avery and I both loved this recipe is that we didn’t have to wait for any cookies to bake. 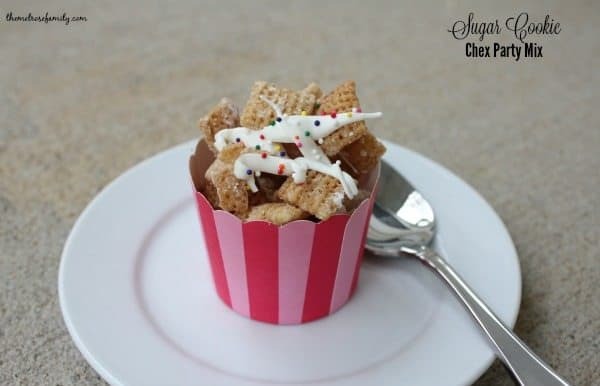 The Sugar Cookie Chex Party Mix is also gluten free, which would make it a great holiday party snack idea. I’m thinking this might just have to be a snack that makes it to Riley’s school. 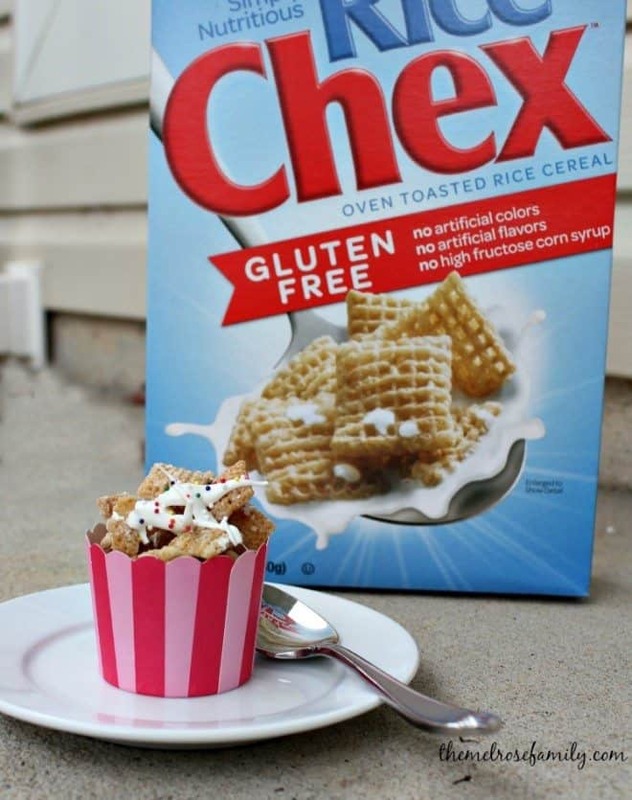 Chex has a ton of great recipes on their site. Plus you can find inspiration on their Facebook, Twitter, Pinterest, and Instagram. I promise there’s something that you’ll want to share this holiday season with your family and friends.